Gaining Early Awareness and Readiness for Undergraduate Programs (GEAR UP) is a competitive grant program of the U.S. Department of Education. The purpose of GEAR UP is to bring college preparation and awareness to students in low-income communities, helping them to bridge the economic gap between themselves and their more financially advantaged peers by getting a college education. 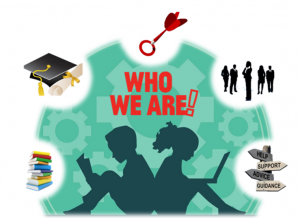 The program starts working with students in sixth or seventh grade and continues through high school graduation, providing comprehensive academic, mentoring and college guidance services. The GEAR UP legislation was introduced by Congressman Chaka Fattah of Philadelphia. The model was based in part on the practice and experience of Philadelphia Futures’ Sponsor – A – Scholar program and similar programs operated by other organizations, including I Have a Dream and Dr. Ruth W. Hayre’s Tell Them We Are Rising. To implement GEAR UP around the country, the Department of Education awarded competitive grants to partnerships made up of schools, colleges/universities and community groups. The idea is to make low-income students’ preparation for college everyone’s business. The Philadelphia GEAR UP project received the second largest grant in the nation and provided services to 4,000 students in the first year. GEAR UP provides critical early college awareness and support activities like tutoring, mentoring, academic preparation and financial education to improve access to higher education for low income, minority and disadvantaged first-generation students and their families. The College & Career Readiness Collaborative Communities Model (CRRC) is a capacity-building initiative, designed to have an impact on students and schools that lasts well beyond the end of federal funding, with a heavy emphasis on facilitating partnership contribution and building a collaborative structure at the school level. Read our story. Learn about who we are and what we can do for your child. The support and direct involvement from individuals, businesses, organizations, and universities within Philadelphia are dedicated to helping our students get ready for success. GEAR UP serves 12 public schools within the Philadelphia region. We provide scholarship assistance to our high school students. There are a variety of programming that is provided by GEAR UP, which happens at each of our 12 high schools. Come enjoy these events, open to all students! Find out what's going on in Philadelphia. A selection of resources for students and parents to help our future leaders succeed in academia and in life. If you have any questions or want to get involved with our program contact us! What will GEAR UP do for your Child?